I just wanted to mention something because I know if I think of it during the holidays then many other survivors probably do. When Thanksgiving would come around, for too many years, I would think of suicide. This stretch of time, from Thanksgiving all the way up to New Years, has always seemed so hard for me to get through. My life has changed quite a bit now. I have more reasons to be living than at any time in my life. My beautiful wife and daughter. My friends, including all of you here who know personally why we think of suicide. Even with all of that, my heart still pulls toward that feeling. About ten years ago, I used to scramble alone to the top of mountains and, if there was a cliff, I would stand on the edge and think how little I had to live for. I wondered who would really care if I fell here. Sometimes I would climb down cliff faces to ledges. I told myself that if I fell then I was just meant to. So I scrambled to the top of Mt. Higgins. It was known for having a high precipice at the summit. When I got to the top, I was alone. So I stood at the edge of the precipice and did the thing I always do. Wonder if I mattered. I think that was the closest I ever came to just choosing to fall. I heard some low yelping behind me. It was a dog. My dog Scout. It may sound weird but I think he sensed what was going on. I had forgotten he was even there. But I didn’t have the heart to leave him alone. So we hiked back down together. 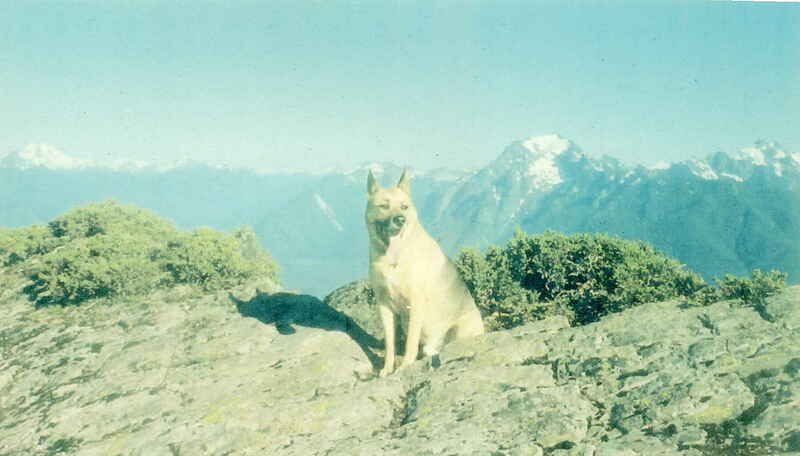 Before we left, I took a picture of old Scout, at the edge of the precipice. Ironically it’s one of my mothers favorite pictures. She blew it up and put it prominently on the mantle of her fireplace. Scout has long since passed away. But every holiday, when I come home I look right at it. It reminds me that no matter what there is always someone who loves me and will miss me if I leave. It’s something all of us should remember.